FromSoftware PlayStation VR title Déraciné launches today in North America and Europe, and it seems as though the Japanese developer has left a cheeky little Bloodborne Easter Egg in its latest release. Fair warning, though: the following information may be considered spoiler-y. So in Déraciné there's a doll that you can pick up and interact with, as found by YouTube user Amazing Komaru. Nothing too out of the ordinary there, but the doll's striking a post that'll be familiar to those of you who have played Bloodborne. With one arm in the air and the other held horizontally, the doll appears to be making the 'make contact' gesture from FromSoftware's top tier action role-playing game. 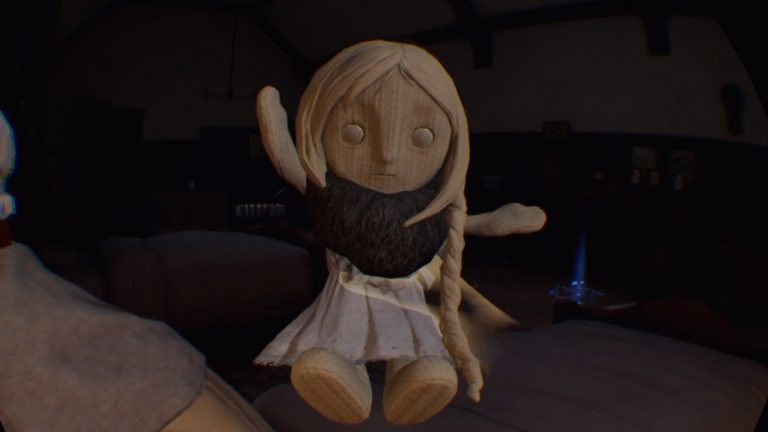 What's more, the doll has the following in-game description: "A doll of the stone girl Fiona who appears in the unfinished tale. When a person has a bad dream, Fiona appears and helps them flee." Obviously it's that "unfinished tale" part that's caught the eye of many a Bloodborne fan. 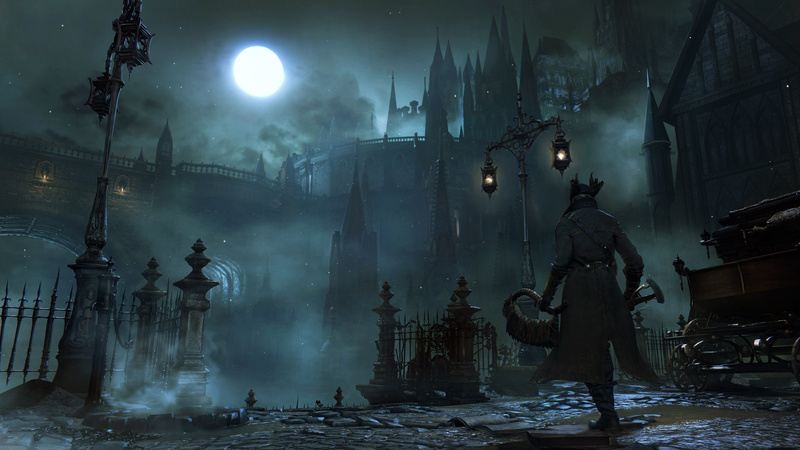 Naturally, this has sparked some new speculation over a potential sequel to Bloodborne, with the developer itself supposedly acknowledging the possibility. Or, you know, it could just be FromSoftware being weird, as per usual. What do you make of this? Feel free to make contact of your own in the comments section below. I think we all expected something to be in Deracine pertaining to Bloodborne. This is definitely an Easter egg, but I'm not going to convince myself it's anything more than that. easter eggs are often just what they do. a simple or clever reference to other games from the same dev. i often just roll my eyes whenever someone thinks that the easter eggs mean more then just a reference, example some people thinking that 1 game that has an easter egg from another game by the same dev means that those 2 games MUST be connected or share the same universe etc. it kinda gets annoying after a while. Hopeful fans jumping to conclusions. Why would they not make a bloodborne 2, I'm assuming the first one did pretty good. One of my favorite ps4 games. @jdv95 You do know all PlayStation games share the same universe. In fact it's the same Country. PlayStation nation. I'm not getting my hopes up since that shadows die twice bobbins. We could have a sequel to one of the best games of all time, but nope. Bionic nioh and whatever the hell this nonsense is. Such a shame. When will fans stop getting their hopes up? I've pre-ordered though just in case. I would lose it. Bloodborne is single handedly the best game this gen.
@Johnnycide The game looks lit dude Hey I would take BloodBorne over Sekiro but no one can't deny the game doesn't look awesome. Bloodborne is still my fave PS4 game, even in the face of some of the gems we have had since. As much as i'd love to have a sequel it feels like such a complete experience i'm not sure. As for a prequel i'm not sure i'd want that, part of what I love about it is how the world building is relatively ambiguous through fragments of information that leaves it up to the player to make sense of what is going on. @ronb44 A deftly handled prequel could be interesting, but as @toffeecrit says, From's world building relies on ambiguous clues and fragments, so I'm not sure how they'd manage that. @ronb44 I can understand your point and it is a complete product that doesn't need a sequel, but at the same time I will be extremely excited if they did do one or at the very least create a totally different game that is just as interesting as Bloodborne but isn't connected to any of the Soulsborne games. Tbh I just want another ARPG from From Software, I honestly don't care what it is really just as long as it's a new ARPG because they pretty much make the most interesting ARPGs with hidden secrets now. @toffeecrit If they decided to flesh out their cut content and make a Bloodborne sequel, but with an asian theme, I would lose my mind over that. Sadly though I honestly don't think From Software is working on anything outside of what they have already announced. Maybe in 2020 we will see a new project from these devs, I doubt we will hear anything from them in 2019 aside from Sekiro and its DLC that year. Certainly would love a BB2; BB is my fave game on PS4 and possibly my fave From game, along with Demon's Souls. Looking forward to Sekiro very much. Playing Nioh right now, which is amazing itself, albeit a total Soulsborne rip-off; highly recommended. There's genuinely no game from the current generation I'd love a sequel to more than Bloodborne. There's so much potential in a second game - really hope it happens eventually. Nice little easter egg either way, but fingers crossed!